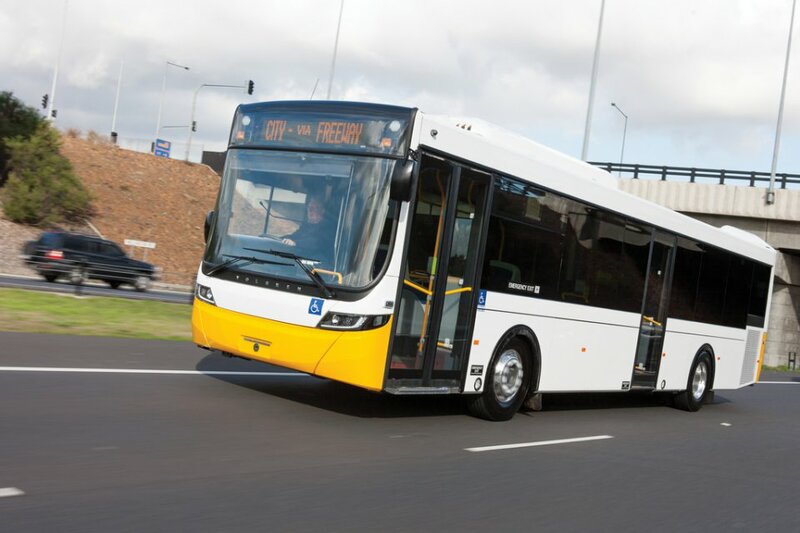 Improving Volgren’s route bus manufacturing, performance and user experience using holistic design. 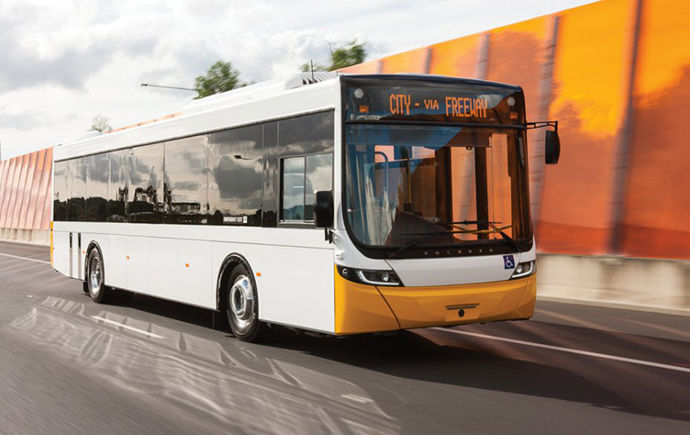 Exterior front and offside view of Optimus bus showing new windscreen, front cowl, and integrated headlamps. Photograph by Coventry Studios. 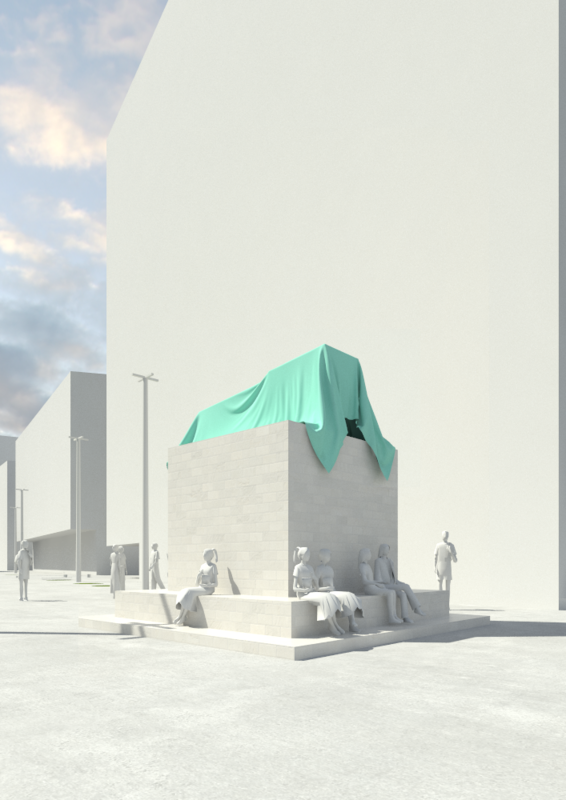 The strong relationship between MADA and Volgren has continued well past the Optimus project, testimony to the value of bringing together complementary skillsets from both organisations. 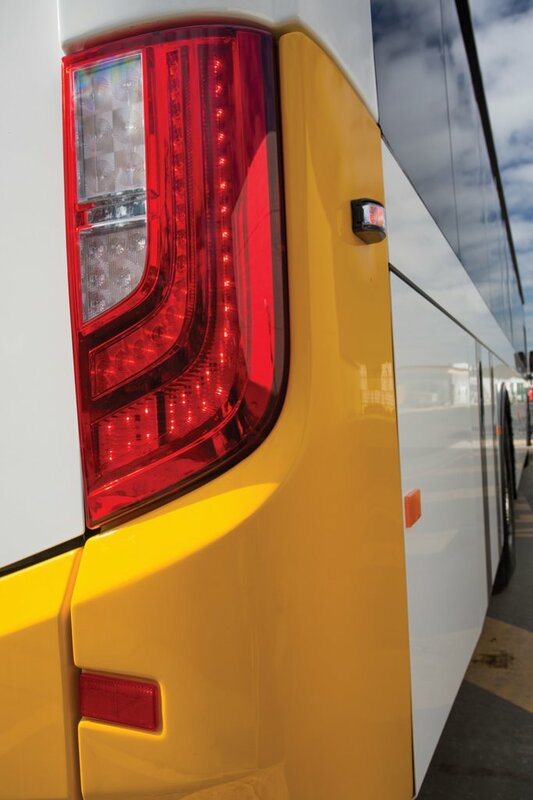 Rear view of Optimus bus showing integrated tail lamp, new corner bumpers in ABS, and new rubber ride extrusion hinge. Photograph by Nigel Welch. 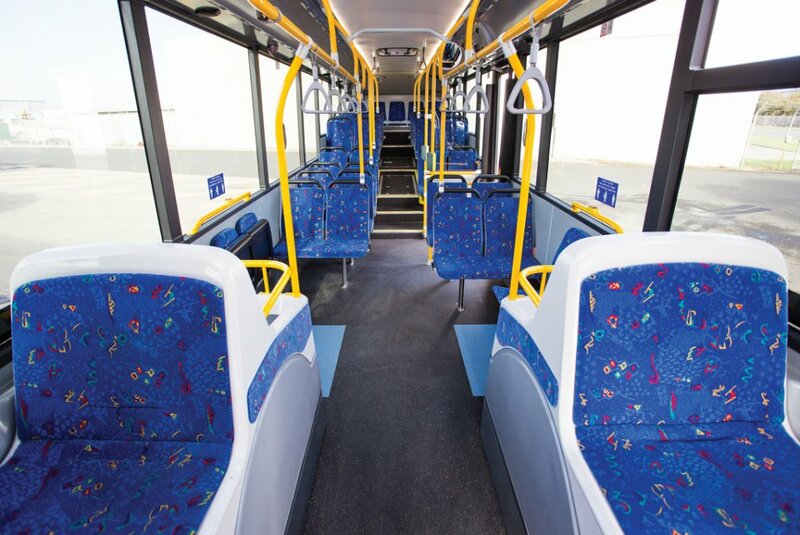 Interior view of Optimus bus taken from front axle line facing backwards. Wheelarch covers in foreground, new handrail system, ceiling lighting and window trims visible. Photograph by Nigel Welch. 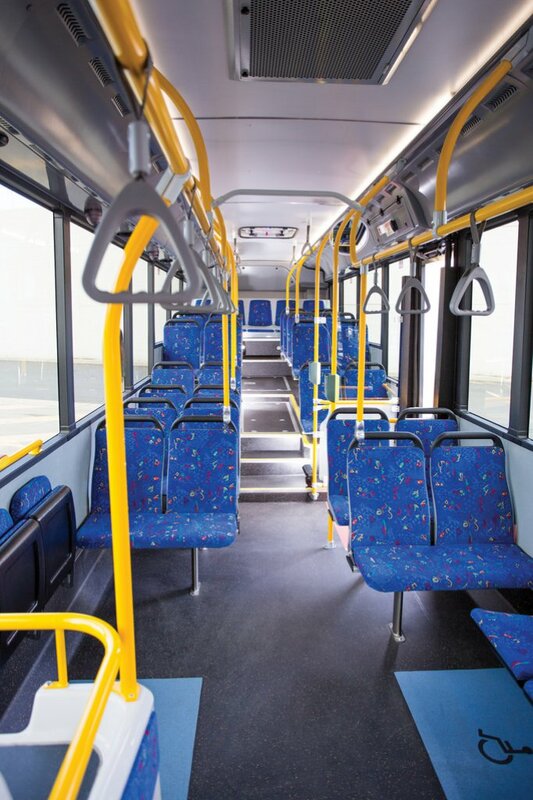 Interior view of Optimus bus taken from front axle line facing backwards. New handrail system, ceiling lighting and window trims visible. Photograph by Nigel Welch. Exterior front and nearside view of Optimus bus showing new windscreen, front cowl, and integrated headlamps. Photograph by Coventry Studios. 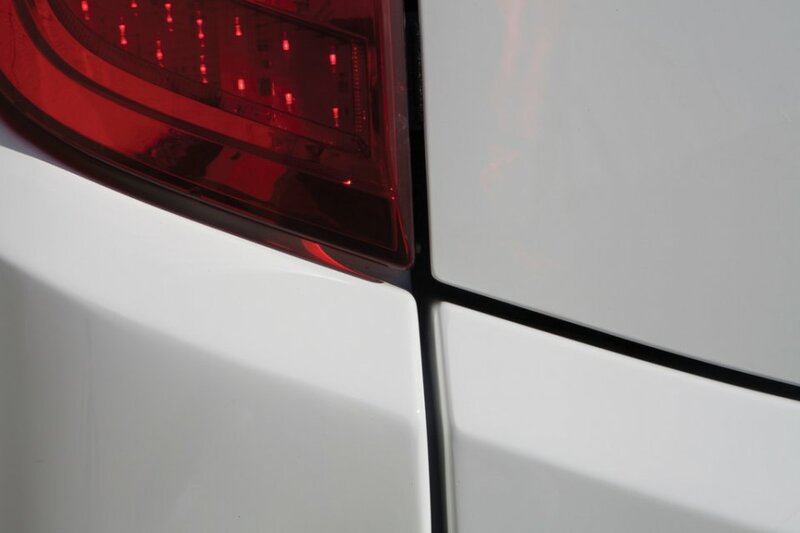 Intersection of rear tailgate, centre and corner bumpers, and integrated tail lamp (detail). Optimus driver’s area view forward from front axle line. 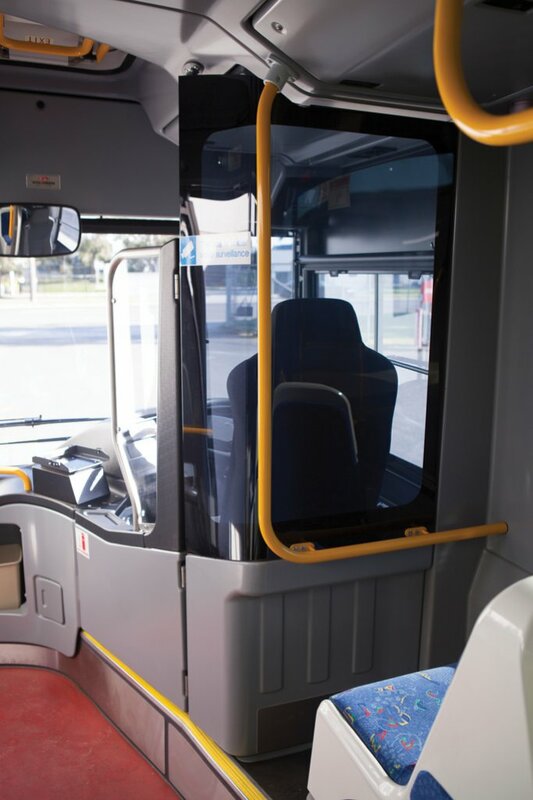 Integrated optional driver’s door and security screen, occupant grab rails, ABS plastic lower section with smooth integration into upper polycarbonate protection screen. New instrument panel also visible. Optimus wheelarch cover. 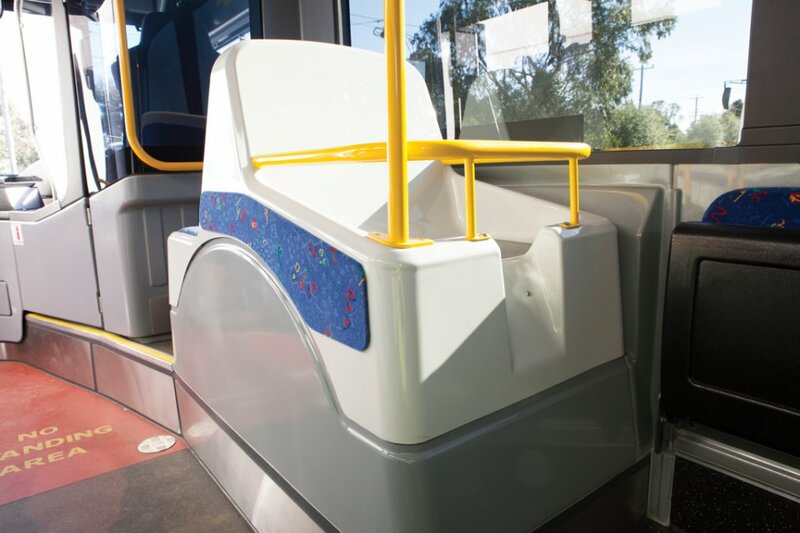 Upper and lower sections in PC-ABS with luggage area shown integrated into handrail system. 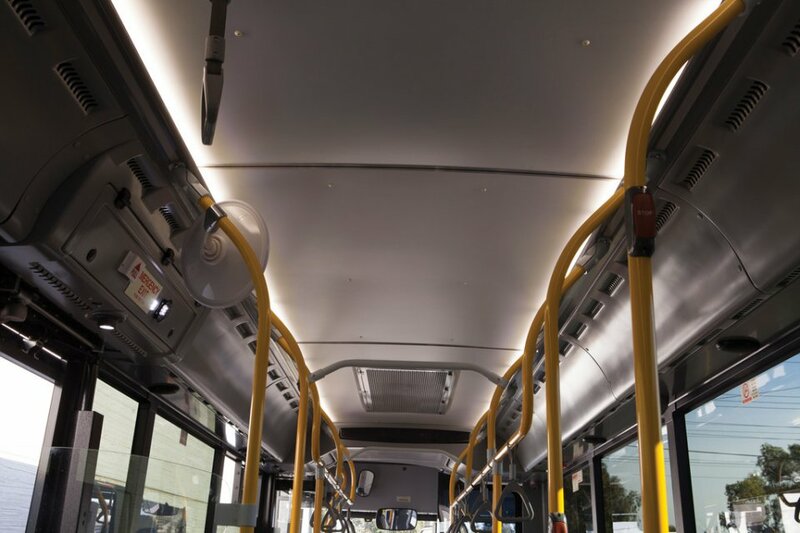 Optimus interior ceiling view showing upper components of handrail system and programmable indirect LED lighting system. 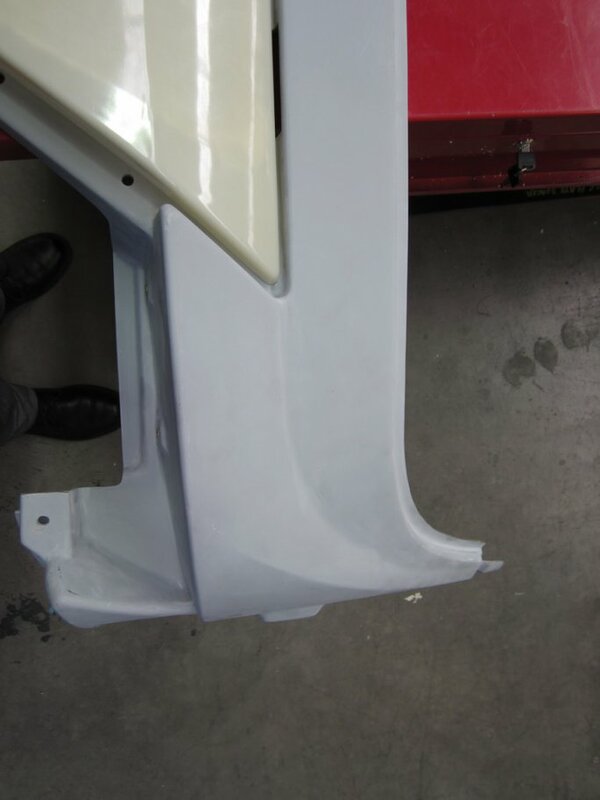 Initial bodywork prototype build stage – exterior panels. Intersection of front cowl upper and lower portions prior to painting. 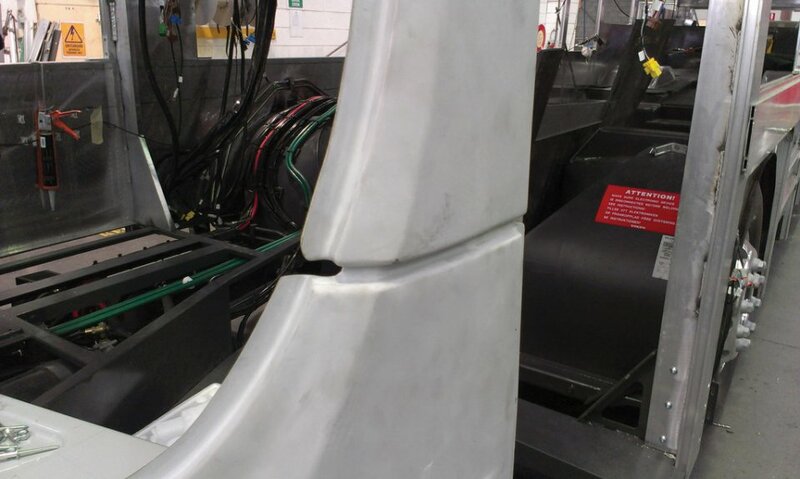 Insertion of new hinge rubber into new aluminium extrusion for side hinged panel mounting. 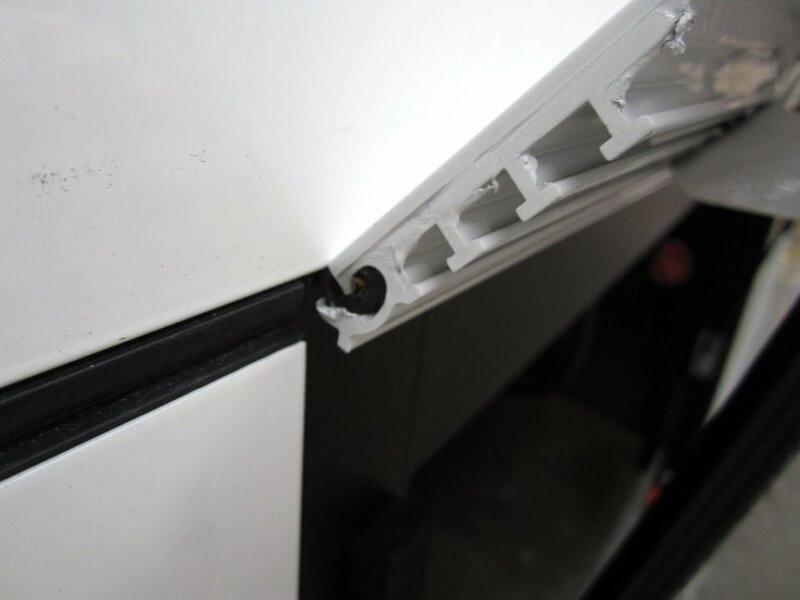 The rubber hinge uses a new self-seating geometry to aid in quality assembly and panel security. Front of prototype bus prior to windscreen, windscreen wiper, and headlamp installation. 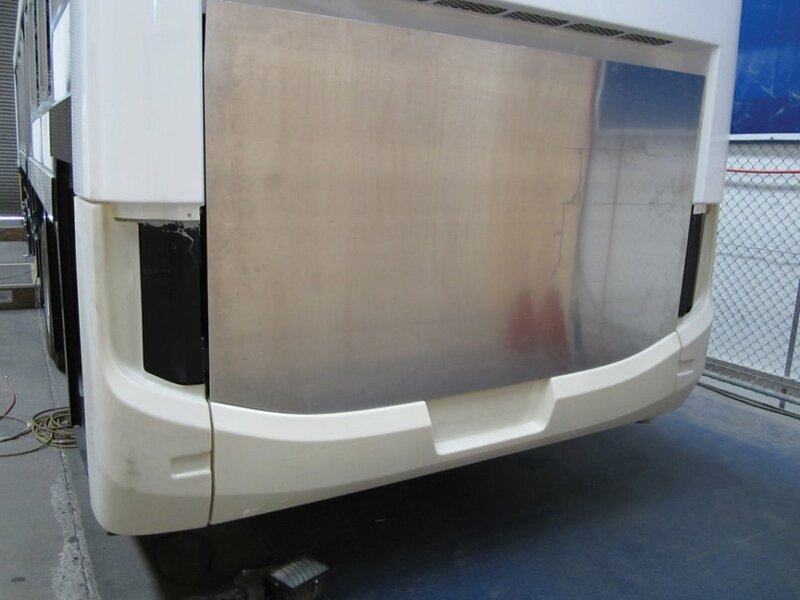 Rear of prototype bus prior to painting and lamp installation; showing different base materials for fibreglass rear cowl, plastic bumpers and aluminium tailgate. 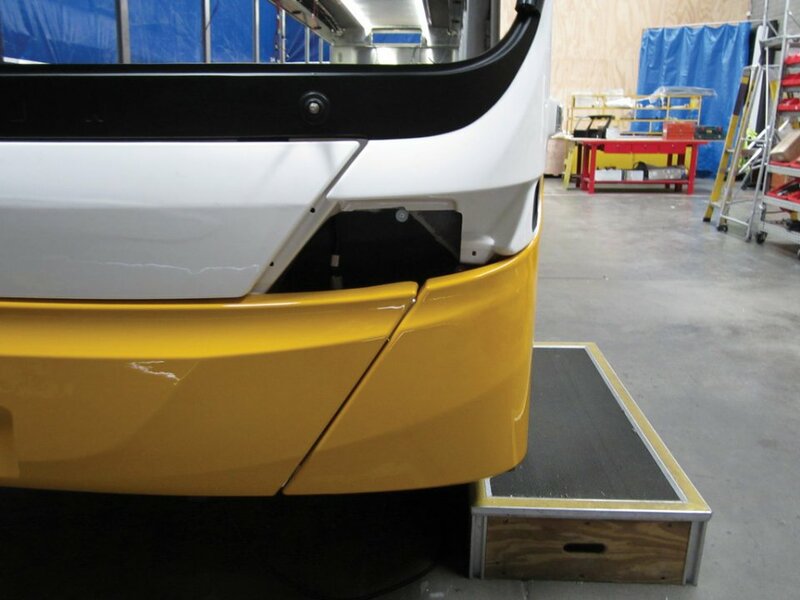 Fibreglass front cowl and plastic centre access panel – testing for fit and panel break visual tolerance prior to installation on prototype bus and painting.